PA's chief negotiator says he's surprised by Jared Kushner's comments expressing doubt about existence of solution to Arab-Israeli Conflict. The PA’s chief negotiator was “surprised” by a recent comments made by White House senior adviser Jared Kushner expressing doubt about the prospects for peace between Israel and the PA.
On Tuesday, Wired released a transcript of Kushner speaking in a closed conversation, during which he expressed doubt about the possibility of reaching a solution to the Arab-Israeli conflict. “What do we offer that's unique?” he asked. “ I don’t know … I’m sure everyone that’s tried this has been unique in some ways, but again we’re trying to follow very logically. We're thinking about what the right end state is, and we’re trying to work with the parties very quietly to see if there's a solution. And there may be no solution, but it’s one of the problem sets that the president asked us to focus on. So we’re going to focus on it and try to come to the right conclusion in the near future,” Kushner said. 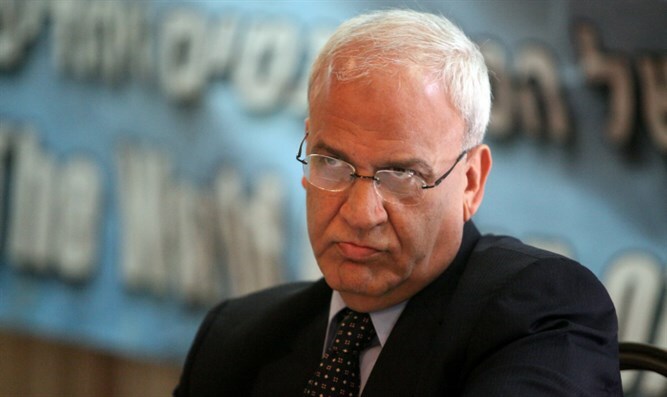 However, the Health Ministry and the National Transplant Center made clear on Tuesday that Erekat would only receive a transplant under rare circumstances. "Only patients who are residents of the State of Israel can be registered in the national waiting list for transplants," they said in a statement.